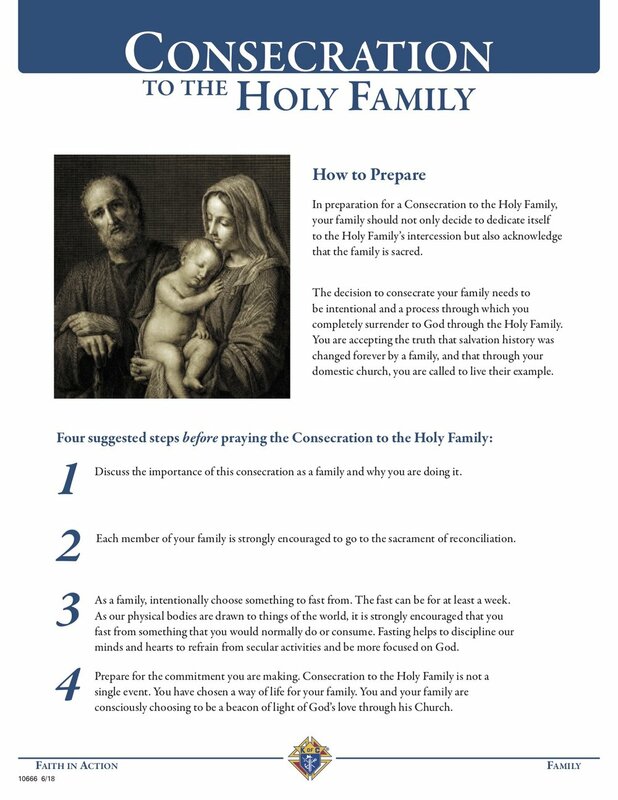 What better way to begin Advent than to Consecrate your family the Holy Family! The Knights of Columbus Council #5163, Manchester, NH is sponsoring this beautiful opportunity for Consecration of your family to the Holy Family, We have no better role model for our families than the Holy Family. With their intercession for our families, we can grow in holiness, strength and unity. If you live close by, join us at any of the weekend Masses on Dec. 1st & 2nd. Will will pray the Consecration Prayer as a community with a special blessing by our pastor followed by a celebration sponsored by the Knights. Children will have the opportunity to begin designing a poster for the “Keep Christ in Christmas” poster contest. We entrust our family to you. you are the Mother of our Savior. and nurtured him in the peace and joy of your home.We entrust our family to you. while showing us the dignity of work. and open to the gift of new life. and to live in peace all our days. where we reflect your example in our daily life. Amen.Jesus, Mary and Joseph, pray for us! Prayer composed by Archbishop William E. Lori of Baltimore, Supreme Chaplain.